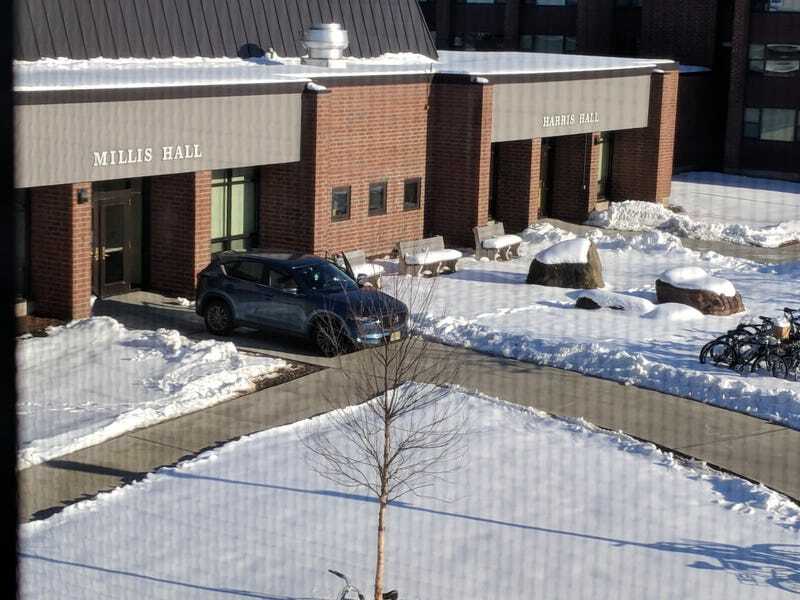 Just park on the sidewalk in front of the doors to move back in after break. I see no problem with that. What you can’t see is that they had to reverse a good 200ft+ down this side walk from the “road” that is actually the bus path that cars aren’t supposed to be on. But I guess they get to park in the doorway and unload all their crap.